WindDance Vizslas - WindDance Imagine If You Will "Maggie"
This special little Squall demands a warm snuggly place on the couch or in bed! She is an affectionate and loving companion. Summer enjoys playing outside with the other “kids” and travels with both Phil & Carole whenever possible. Soon she will begin obedience and tracking! 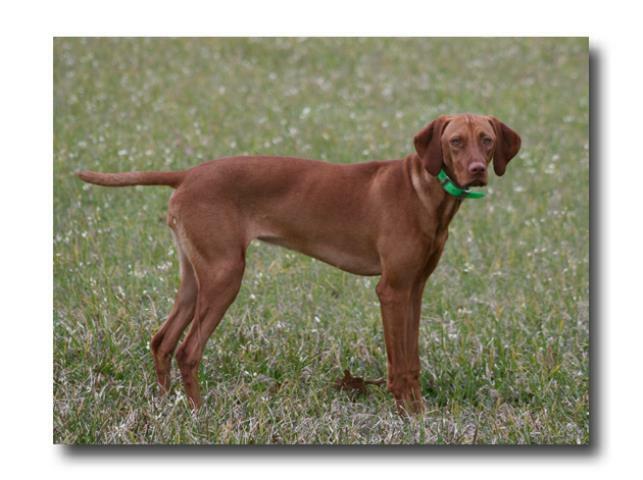 She has an exceptional nose and we look forward to also participating in some Hunt Tests later this year.